Primetime is coming back this Sunday. 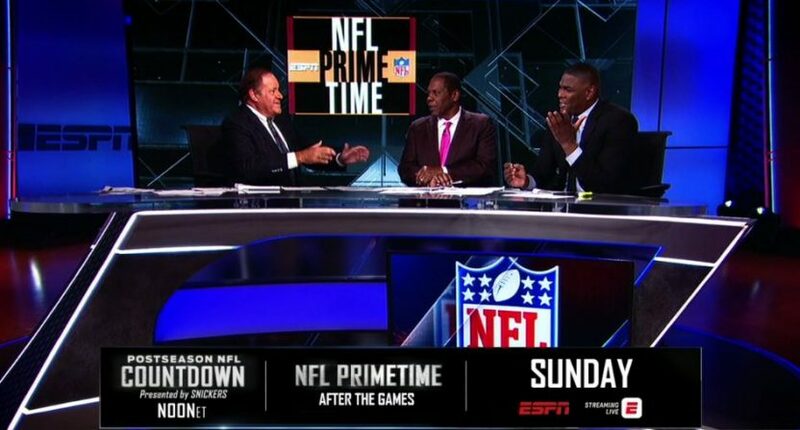 As they did last year, Chris Berman and Tom Jackson will reunite for a special Championship Sunday edition of NFL Primetime this weekend. Keyshawn Johnson will also be a part of the studio reunion. But for now, viewers will see Boomer and T.J. back together again for one more Primetime. After a formal goodbye at the Pro Football Hall of Fame ceremonies in 2016, the two were reunited once more during a Monday Night Countdown show later that year. But this will mark the first time that they’ll wrap up playoff action since Super Bowl 50 in Santa Clara, California. If it also means the return of a couple of classic Primetime highlight tunes, then it might be really fun. NFL Primetime was essential viewing in the days before widely available online video, and while the convenience and quick sharing capability of social media has meant more video available to more people more often, it did usher out the era of relevance for shows like this. It’s okay to feel a bit nostalgic about that while also embracing modernity. The special edition of NFL Primetime will air this Sunday on ESPN at the conclusion of both championship games.